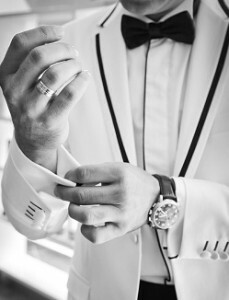 Most of us don’t have tons of money to spend freely on expensive designer suits; luckily, if you are on a budget, there are still plenty of ways to dress sharp just like a gentleman. Before we get into the tips on how to dress like a gentleman on a budget, here are some things to keep in mind before beginning. It Takes Time So Be Patient – Since you’re on a budget, you’ll have to be patient because you’ll have to shop around for the best quality at the cheapest price. On many occasions, you’ll probably have to buy specific items for your attire at different places. Maybe one store has quality ties for a cheap price but their shirts are a little more expensive so just make sure to be patient and shop around. Don’t Automatically Buy Items Just Because They’re On Sale – Although it is very tempting, especially if you’re strapped for cash, you want to look at the bigger picture. Will these clothes last? How many things will I need tailored to fit my body type? How much will it cost to get these items tailored? If you’re buying clothes that won’t last or that needs lots of custom tailoring done, in the long run it’ll probably end up costing you more than you want it to. If the clothes don’t last, you’ll be buying equivalent type of clothes sooner than later. If you need custom tailoring on everything – shirtsleeves, coat width, pants length, etc – you’ll probably end up spending a lot more than just buying a fitted suit. 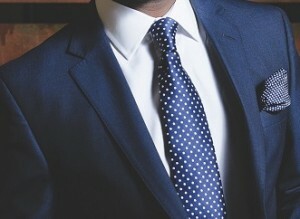 Keep It Simple – Many people tend to over analyze when it comes to dressing sharp. Yes, we all want to stand out from the crowd or start the next fashion trend but sometimes the best way is just to keep it simple with timeless styles. 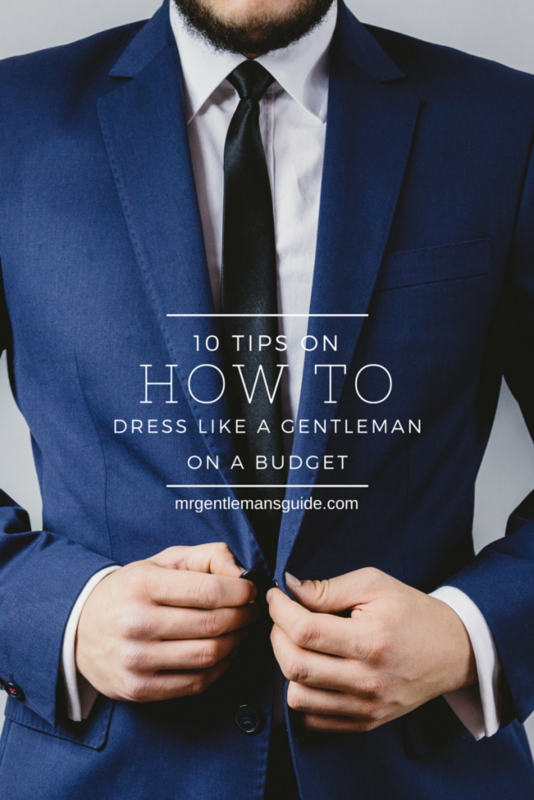 Now that you have those things in mind, let’s get into how to dress like a gentleman on a budget. 1. Know Your Fitted Measurements – Whether you gained or lost weight, or simply never had your measurements done, this is the first step before beginning. You’ll need to know this because it’ll help you with your decision making. For example, if you buy inexpensive pants but need to get them tailored because it’s too long, will that total cost more than just buying pants slightly more expensive that doesn’t require any tailoring? 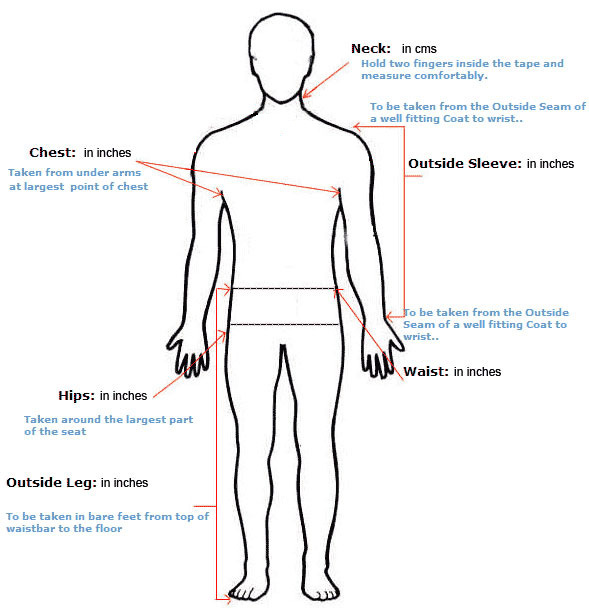 Below is guide on how to take your measurements. 2. 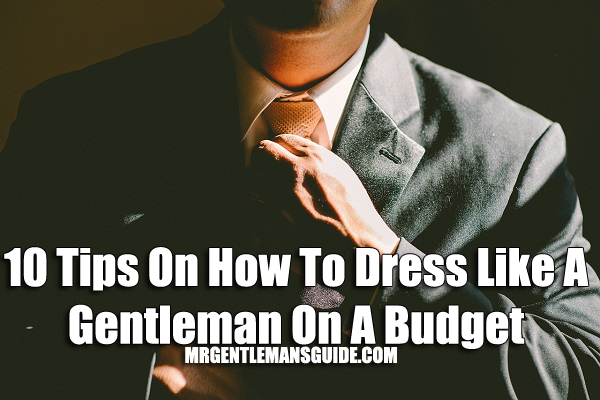 Do Your Research – Starting at MrGentlemansGuide is a good start but you’ll also want to do research to compare prices, find out the specific types of clothes you’re looking, the type of fabric, etc. Also, another thing you’ll want to research that is very important is how to highlight your features. We all come in different shapes and sizes so if you don’t already know how to highlight your body’s features with clothing, you’ll want to look into that. 3. Know What You Are Dressing For – Whether it’s dressing for work, dressing for a formal event or simply just for casual wear, all of these can be tweaked differently and certain items aren’t necessary to purchase. 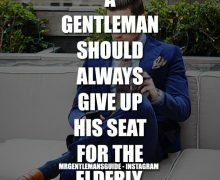 For instance, if it’s more of casual wear or an event that’s semi-formal, more often than not a tie or even a full suit is required. 4. Avoid Big Designer Names – I think a lot of people focus on big name brands but even the smaller name brands have good quality. Of course, since you already did your research on the type of fabrics that are good then you should be able to decide from that. Big designer brands aren’t needed. You just want to look for good quality. Plus, with suits, ties, pants, the brands logo won’t be shown so no one will even know. 5. Go To Garment Districts, Thrift Shops Or Big Retail Stores To Shop – Speaking of designer big and small name brands, these places have them all but you have to really look. In garment districts and thrift shops, it’ll be hard finding the exact clothing you’re looking for but you can still find some good quality gems on a cheap price. Big retail stores tend to always have a lot of sales and places like Marshalls, T.J. Maxx, etc have big name designer brands at a cheaper price. 6. Finding A Good Tailor – Unless you are one of the rare individuals that can buy a shirt, pants or suit that fits perfectly on you, it’s good to have a tailor who can make alterations to fit your body type. If you find a good tailor and start going to them regularly, you can negotiate deals especially if you continue to give them business. 7. Check With Friends And Family – I’m sure a lot of friends and family have clothes they don’t wear anymore (or never worn) and it’s just stashed in their closest. I wouldn’t suggest begging for their clothes but rather bring it up in casual conversation and ask for recommendations. For example, if you were going to a wedding, you could ask if they know a place to go to buy cheap ties. More often than not, they’ll be nice enough to offer you one to borrow or even keep. 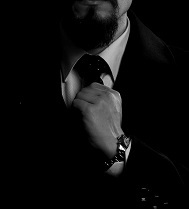 Dads, uncles or friends who wear suits for work are all great people to check with. I’m sure they’ve gotten countless ties for presents over the years. Personally, if they’re giving it to you, offer to give them some money for it or offer them help (yard work, errands) in exchange. 8. Negotiate Prices – There are a lot of places where you can negotiate prices for items. Though, you have to take the initiative because more often than not, people won’t just offer discounts to you. For example, a friend of mine went to a store to buy shoes and knew the salespeople receive commission. Although my friend was just shopping around, the salesperson was really pushing to make a sale so they suggested they would if he got receive a discount. They negotiated and agreed if my friend bought two pairs. You never know unless you try. Worst thing is they tell you “no”. 9. Barter – Just like negotiating, you can always exchange goods or services for other goods or services. Or if you receive discounts at your work for something they may want or need, you can exchange it for their discount. This can apply to buying clothes, negotiating with your tailor, etc. 10. Take Good Care Of Your Clothes – Lastly, always take good care of your clothes. If you take good care, they can last for a long time. 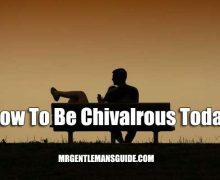 In conclusion, there are plenty of ways to dress like a gentleman on a budget, you just have to keep an open mind and be patient. Remember, it’s not the clothes that make the man; it’s the man that makes the clothes.